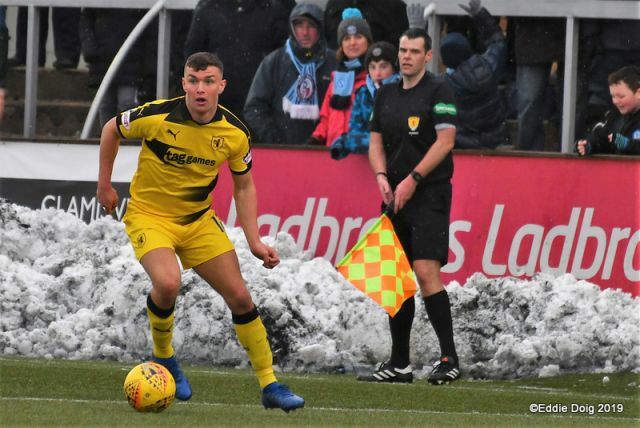 It took a couple of pitch inspections to get the game on at Station Park this afternoon, but Raith Rovers must have wished it hadn’t beaten the freeze, as they went down to another dispiriting away defeat. 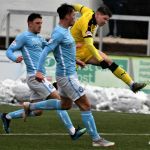 Rovers spurned a number of first-half chances and trailed to a Dale Hilson goal at the interval, but after deservedly equalising through Kevin Nisbet early in the second period, the away side completely fell out the game, and were undone by a second Hilson effort with 20 minutes remaining. 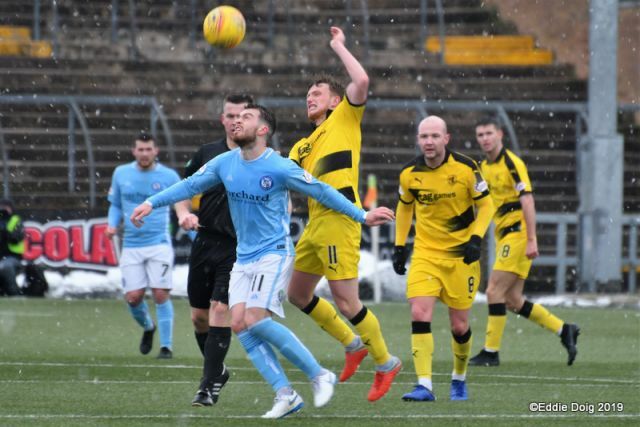 The result means Forfar leapfrog Rovers in the table, with the Kirkcaldy side now sitting third in League one. 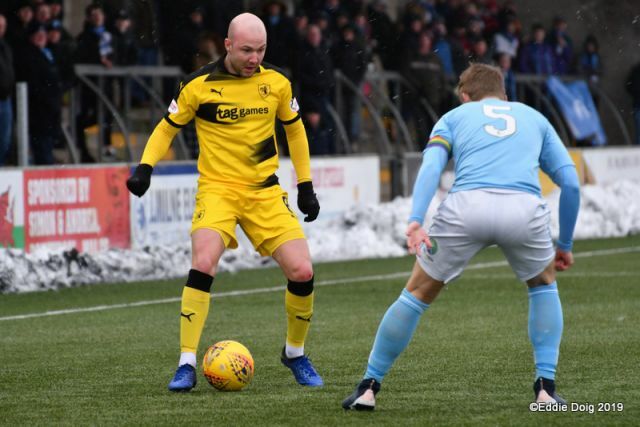 Manager, John McGlynn went with an unchanged side from the team which won 1-0 against Airdrieonians last weekend, although there was a slight alteration in the positioning, with Iain Davidson moving to centre-half to partner Dave McKay, and Euan Murray moving to right-back. 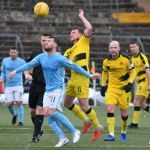 It was Forfar who fashioned the game’s first chance, when John Baird collected a cross from the right, and with his back to goal, he was able to tee up Gary Irvine, but the defender could only lash the ball wildly over the bar from 20-yards out. 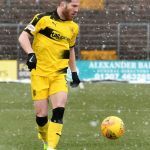 On a bitterly cold day, there wasn’t too much happening on the park to warm up the supporters, with the home side nominally looking the brighter in the game’s opening passages of play, albeit without troubling Robbie Thomson in the Raith net. 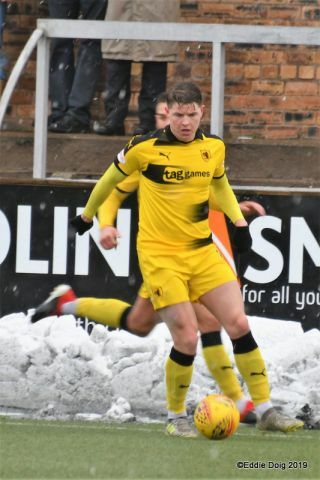 Jamie Barjonas was the first Rovers player to try his luck in the 14th minute, but after doing well initially, creating a piece of space and advancing towards goal, he got his finish all wrong, with the ball spinning away from target and landing in the embankment of snow that was surrounding the park. 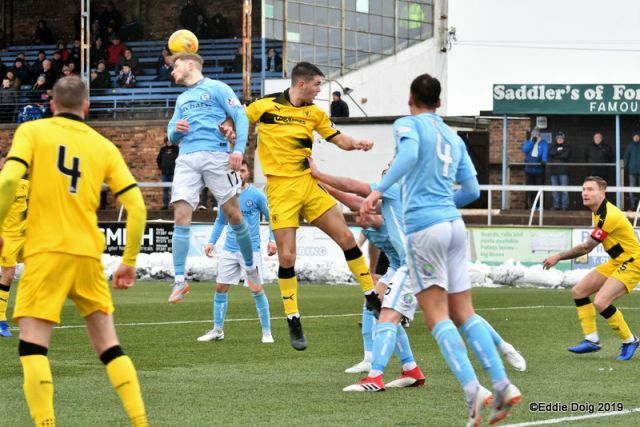 Forfar almost took the lead a few moments later, when Rovers failed to clear their lines on the edge of the area, allowing Hilson to pick up possession and fire a drive towards the top corner, which Thomson did well to tip over. 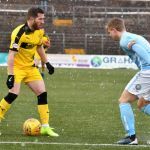 Rovers were having some joy down their right-hand-side, but despite a couple of good crosses from Murray and Tony Dingwall, there was no-one on hand to take advantage. 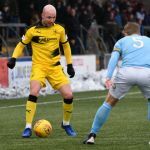 Dingwall was looking lively in the early exchanges, and after picking the ball up deep, he gallivanted towards Marc McCallum’s goal and curled an effort just wide of target. 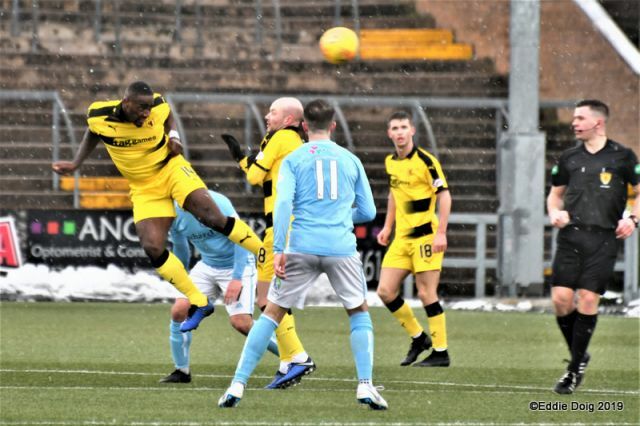 The deadlock was broken in the 23rd minute, and when it did, it came as a result of some slipshod defending from the visitors. 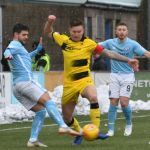 A cross from the right saw two Forfar forwards unmarked right in front of goal and Hilson had the simplest of tasks to slot home from two yards. 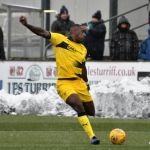 Rovers were looking all over the place at the back at this stage, and they should have been two down when Hilson was presented with another chance just five minutes later, but this time he screwed his shot off target after being picked out 12-yards from goal. 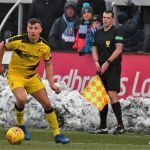 Rovers appeared to have no answer to the livewire forward, and he had yet another chance just before the half-hour mark after being played through by John Baird, but this time Thomson was equal to his effort, diving to his right to keep the ball out. Despite being on the ropes, Rovers bounced back, and the should have been level with 10 minutes of the half remaining. 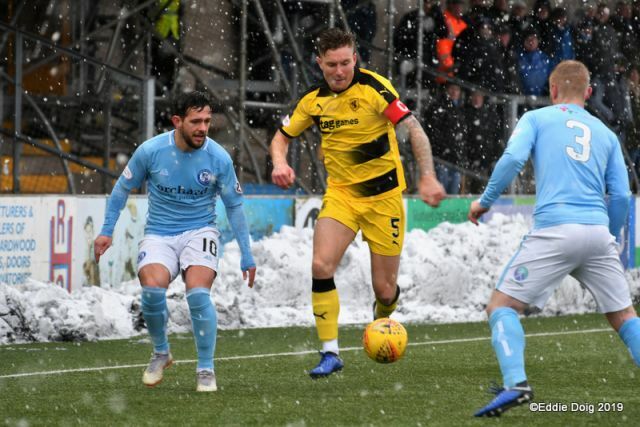 Dingwall received the ball into his feet on the edge of the area, and after doing the hard work and beating his man, he managed to get his finish all wrong, shanking his shot wide of McCallum’s right-hand post. They were at least creating chances though, and Buchanan was the next to try his luck, pouncing on a good cross from Crane on the left, but his first-time effort was blazed well over the bar. 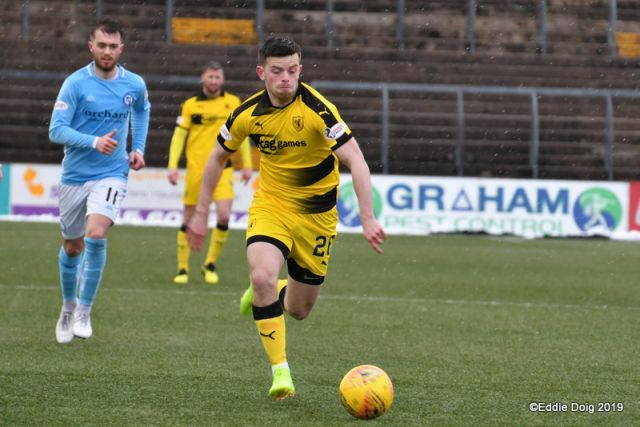 A recurring theme was developing now, and Dingwall again had an opportunity from the edge of the box, but again, his finish was completely inaccurate, spinning well over McCallum’s bar. 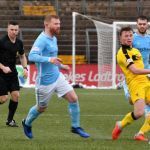 The match was now flowing towards the Forfar net, and Nisbet was unfortunate not to equalise in the 43rd minute, when his shot from wide on the left came back off the post and away to safety. 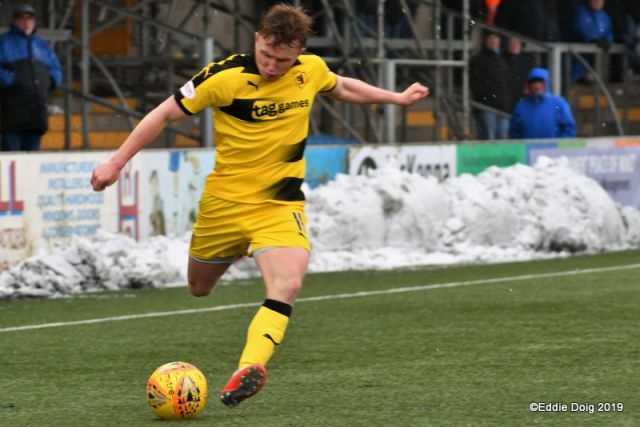 Buchanan then saw his shot at the back post blocked as the interval approached, and from the resulting corner, Murray should have tucked his header away, but he could only steer it wide of target, as Raith somehow went in at the interval behind. Rovers were on the front foot again at the start of the second period, when Murray got on the end of another corner, but his first time effort slipped just past the post. 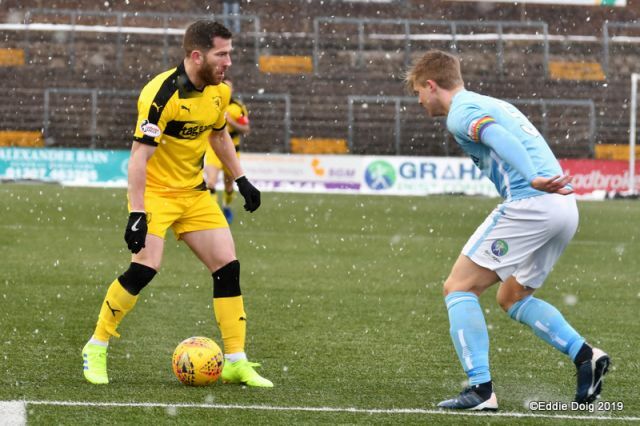 It was a frustrating beginning to the second period, but Rovers got the goal their play merited in the 53rd minute, when a neat interchange finished with Buchanan picking out Nisbet in the area, and his first-time side foot finish flew past McCallum to bring the scores level. 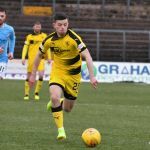 The game seemed there for the taking, but If anything, the goal seemed to spur the home side into action though, and Crane had to look alive at the back post to clear the danger, with Baird looking to nod home. 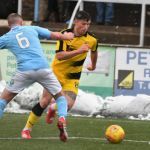 They then should have went back in front after an hour, when Hilson did well to set up Dylan Easton, but his first-time effort failed to test Thomson, when it looked easier to score. 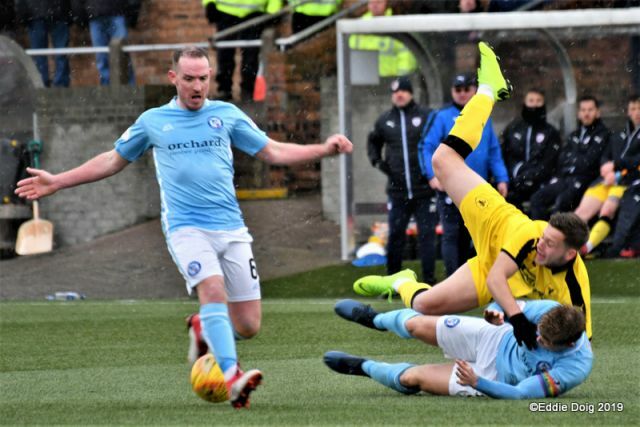 Rovers then had an astonishing let off, when another mix up at the back allowed Hilson a clear run at goal, but after attempting to take the ball round Thomson, he lost his footing and fell over, with the Rovers defence breathing a sigh of relief. 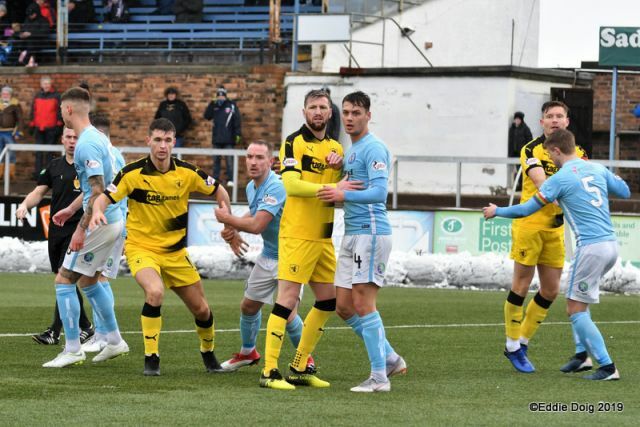 Raith had completely fallen out the game since scoring, and Forfar got the goal their dominance deserved in the 70th minute, after more poor defending. 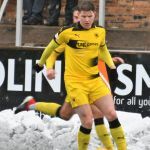 Lewis Moore wriggled free of some weak challenges on the right, and was able to slide the ball across the face of goal for Hilson to tap home his second of the afternoon. 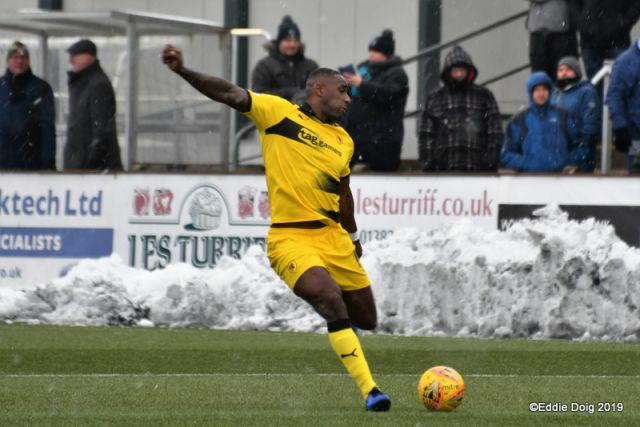 McGlynn rang the changes after the goal, with Nat Wedderburn and Barjonas making way for James Gullan and Craig McGuffie, but other than a snapshot from Nisbet, Rovers never looked like finding their way back into a game which at one point they’d looked the likelier winners. 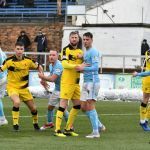 Indeed, Forfar should have won by more, but Brad Spencer could only send a shot wide of target after being presented with a one-on-one. 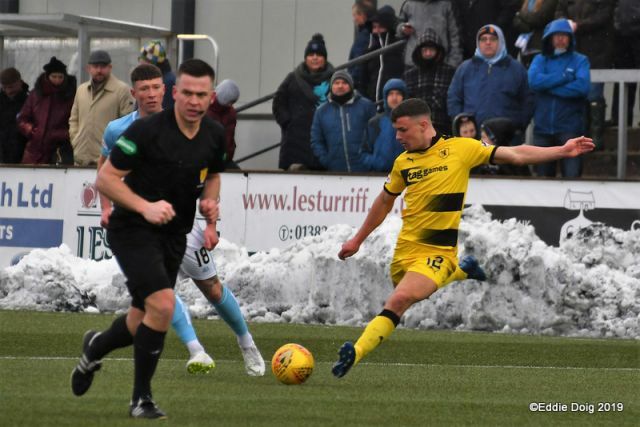 The defeat was the second time Rovers have lost at Station Park this term, and with Forfar potential opponents in the playoffs, they’ll need to overcome that hex, and more importantly, play considerably better, to stand any chance of promotion. We’ve made it. I’m in the stand. Game on. Freezing. Murray leads the team out. Buchanan kicks off. Raith shooting into the higher terracing. 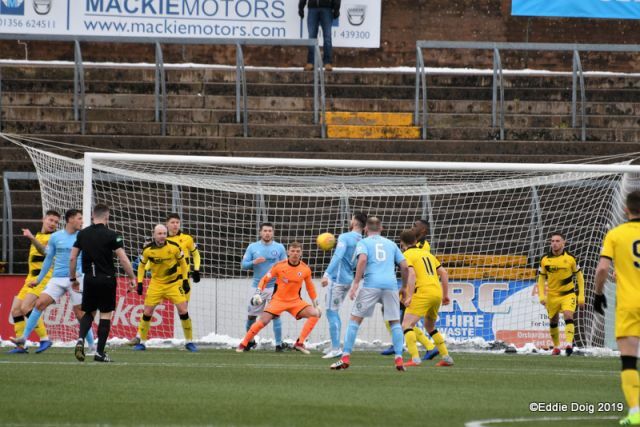 Forfar’s first attack sees a good chance go over the bar. Good defensive work stops Barjonas getting a touch well inside the box. 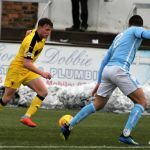 Wayward pass from Forfar midfield sees the ball go from the half way line and out 10 yards from his team’s goal line. Throw in Raith! 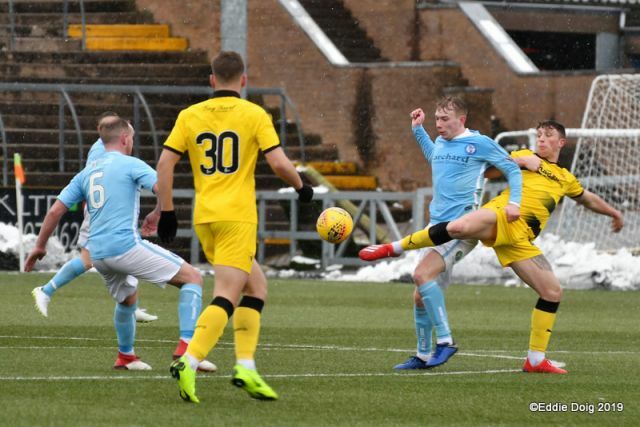 Pressure from a chasing Buchanan and Forfar clear out to safety. Double shuffle from Barjonas gives him space just inside the box. Shot goes high and wide. That was vintage Stuart Romaines there. Excellent save from Thomson. Corner Forfar. Turn and shot from Barjonas, wide of the target. Great wee cross from Davidson. Another half chance for Barjonas. Out for a goal kick. 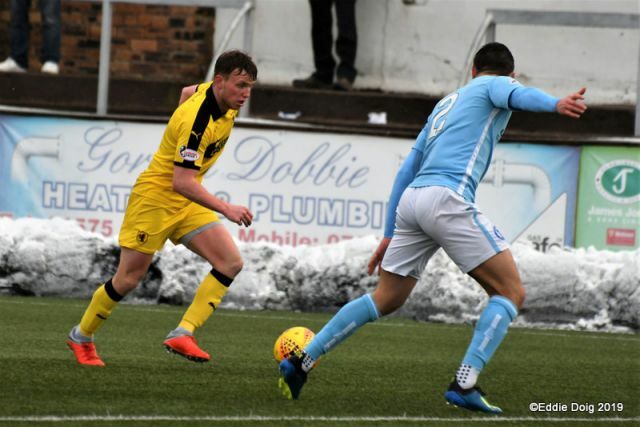 Dingwall rushes forward. Has Buchanan racing through. Tried the shot instead and it whistles just past the post. Rovers putting on the pressure. Great move ends with a cross into the box, easily slotted in by the unmarked Dale Hilson. Hilson just wide. That could have been his second. Another brilliant save from Thomson. Had to dive low and to his right to save a rasping Hilson drive. Buchanan trues his luck from 25 yards out. It hits the target, but keeper deals with it easily. This time it’s Dingwall... Turns well and slides left foot pass by the post. Long cross finds Buchanan unmarked in front of the penalty spot. Just fails to connect with the volley. Would have been some goal. Dingwall with a chance over the bar. Raith with lots of half-chances this half. 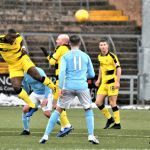 A bit of pinball in the Forfar box, but cleared away to safety. Nisbet off the post! McCallum made the save to deflect away. Buchanan shot from a wide angle, deflected out for a corner. Murray screams in but just glances the header past the post. Half time: Forfar 0-1 Raith. Forfar goal a little against the run of play, but they got back into the game after that. Raith will be sure they can still win the match. Apologies. Forfar 1-0 Raith. Wishful thinking there! 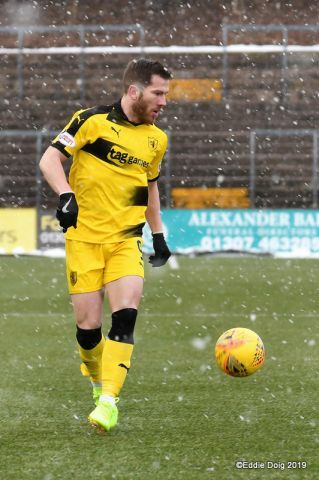 Baird’s first touch was poor right in front of goals. Nisbet left foot shot from the corner. Just wide. Great build up from Raith. Ball ends at NISBET’S feet and he drills in his shot! Snow is falling heavily at Station Park. Hilson shoots well over the bar from outside the box. Bit of a mix up in the Raith box needs Crane to header out for a corner. 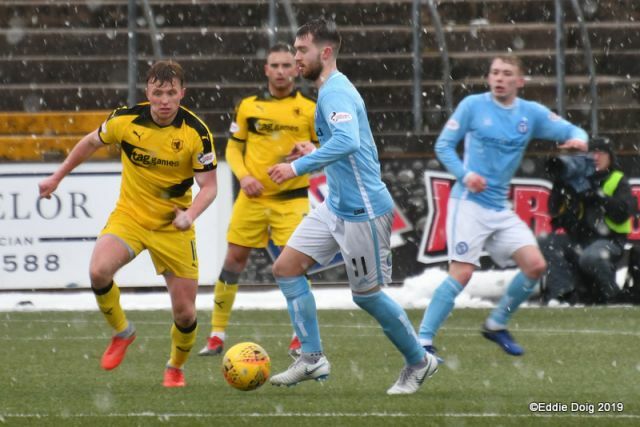 Great chance for Forfar. Just didn’t connect and ball trundles past post, instead of being blasted into the net. Incredible! Hilson goes clean through with the goalie to beat. 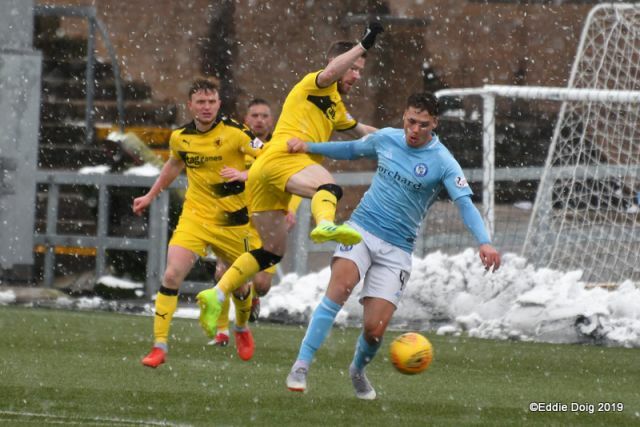 Not sure what he did, but it was like an ice skating pirouette, but he falls over and Raith are safe. Forfar the more dangerous since Raith equalised. 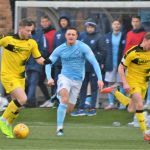 Weak defensive work from Barjonas allows the Forfar winger through twice. Easy low cross to back post and easy tap in for Hilson. James Gullan on for Liam Buchanan. 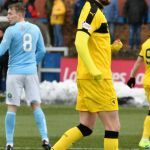 Barjonas off for McGuffie and Wedderburn off for Matthews. Gullan brought down 25 yards out. Crane’s cross would have been worth three points if we were playing rugby. 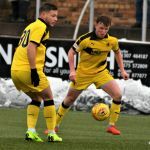 The impressive Hilson off for Coupe and Easton off for Aitken. Both teams have used all their subs. Chance for Murray at the back post. Keeper does well and corner for Raith. 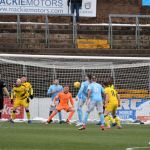 Nisbet’s shot needed two attempts by the keeper. 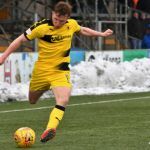 Dingwall off and might not come back on. Forfar clean through and miss. That’s the second time this afternoon. 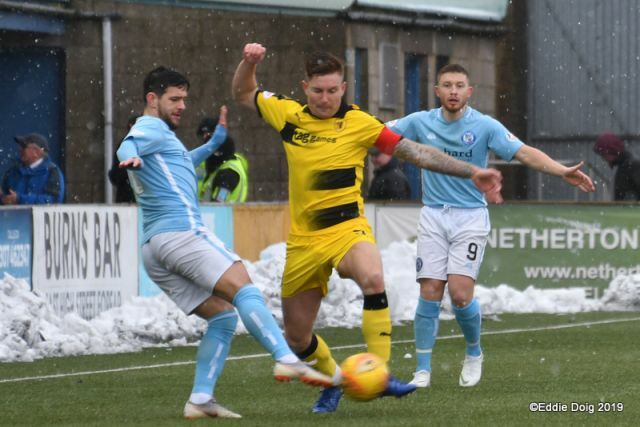 Forfar Athletic: McCallum, Meechan, Eckersley, Whyte, Travis, Irvine, Hilson, Moore, Baird, Easton, Spencer. 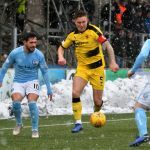 Subs: Bain, Reilly, MacKintosh, Malone, Coupe, Aitken, Hoban. Raith Rovers: Thomson, Crane, Davidson, Murray, Gillespie, Buchanan, Dingwall, Wedderburn, Nisbet, McKay, Barjonas. Subs: Matthews, Berry, Watson, McGuffie, Bowie, Gullan, Lyness. 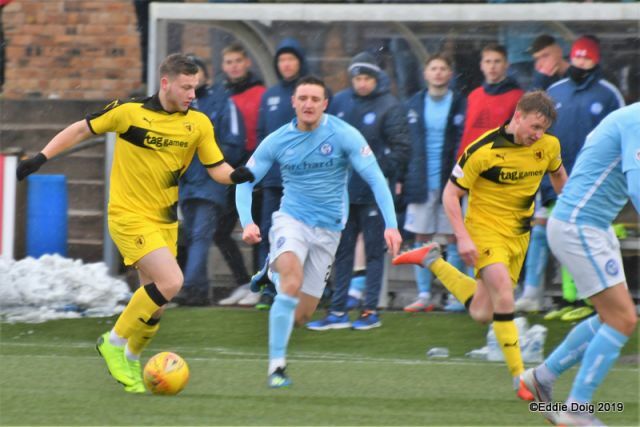 It’s third versus second this weekend, as Jim Weir’s Forfar side welcome Raith Rovers to Station Park. 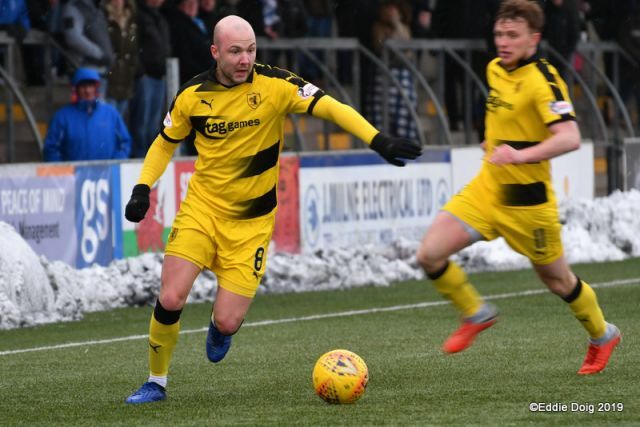 It hasn’t been a happy hunting ground for Raith in recent years, with no wins in their last four visits, and their last victory coming way back in 2007. 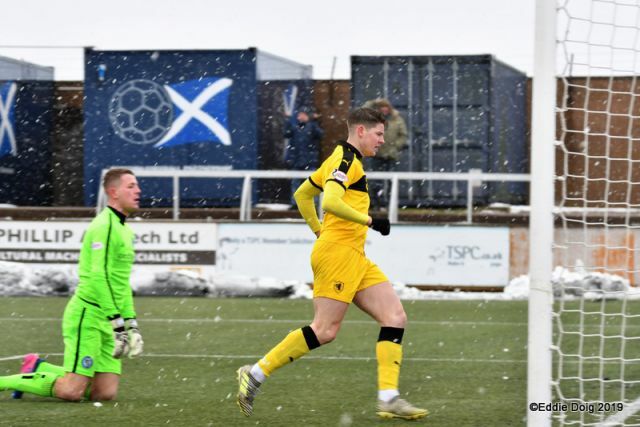 Raith’s visits to the Angus region in general haven’t went well this term, with 11 points dropped against Forfar, Montrose and Brechin, with Rovers only win coming at Gayfield against Arbroath just before Christmas. 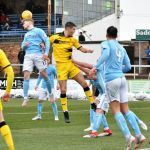 They certainly won’t find it easy to turn that record around against a Forfar side who are the in-form team in League One, and have lost just once in their last 10 league matches. 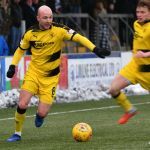 They also have one of the best home records in the division, with only Raith picking up more points at their home ground this season. 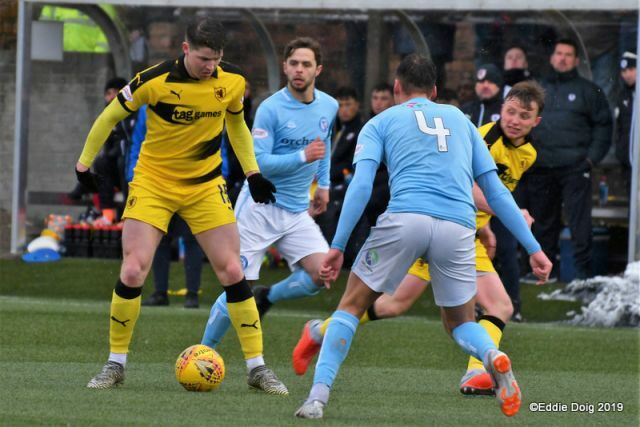 Rovers have a mixed record against the Loons this season, with one win and a draw from the three meetings this season. 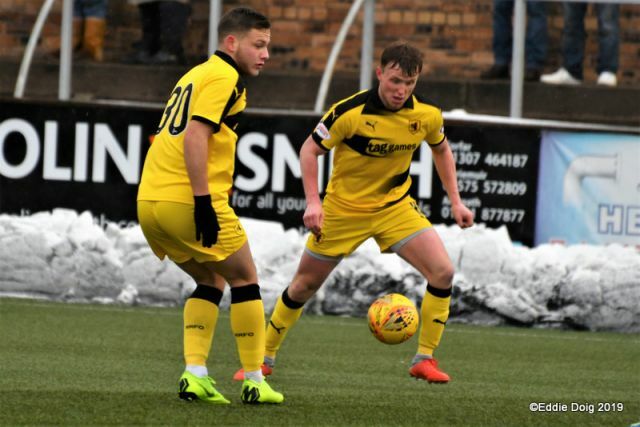 They were convincing 4-0 winners at the beginning of September, with goals coming from Kevin Nisbet, Chris Duggan and a brace from Lewis Vaughan. 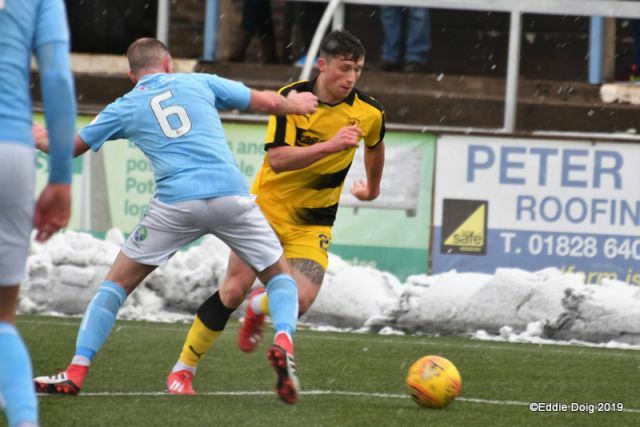 It was a different story in Forfar the next month though, where despite a 2-1 half-time lead thanks to goals from Nisbet and Ross Matthews, a second half collapse saw the home side run out 3-2 winners. 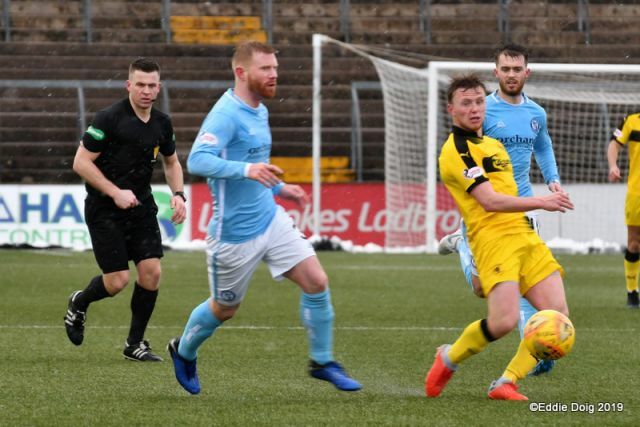 The sides last meeting was in February, where Rovers again dropped points despite taking the lead, with Jamie Barjonas firing John McGlynn’s team in front, but a late John Baird goal saw the points shared. Rovers do still have the upper hand in the most recent meetings, with five wins and two draws from their last 10 meetings. 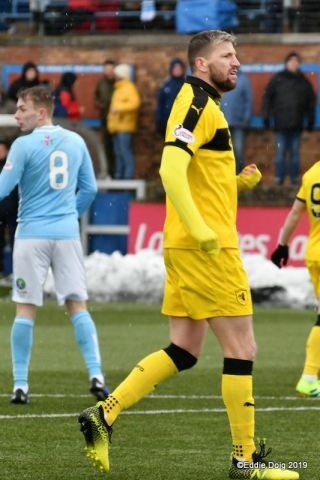 Saturday’s match referee will be Grant Irvine.